Lies She Told by Cate Holahan – psychological thriller about a writer whose life begins to mirror the thriller she’s writing, a novel within a novel. Sing, Unburied, Sing by Jesmyn Ward – A story of the ugly truth of the American story and family bonds. 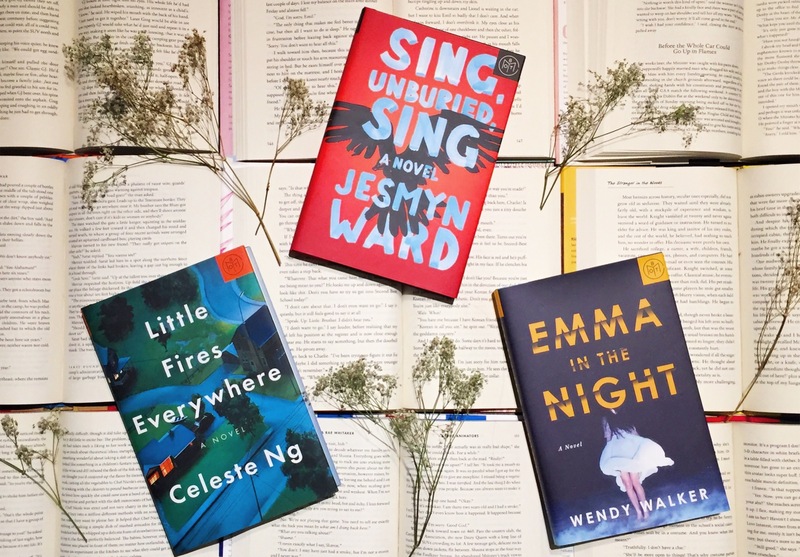 Little Fires Everywhere by Celeste Ng – A new family moves in to a perfect little neighborhood and stirs it up. Sourdough by Robin Sloan – Interesting story of a recipe of dough falling into ones hands and the places she will take it.